Are you pregnant, and are one of those people who can’t do without their morning dose of latte or espresso? You may be wondering if you have to give up caffeine and how you could possibly function properly without your daily fix. Well, you’re in luck, experts say you do not have to abstain from coffee during pregnancy as long as your daily consumption does not exceed 200 mg of caffeine. 200 mg of caffeine equals about 2 cups of instant coffee or one cup of filtered coffee. Good news right? Nevertheless many doctors advice against coffee altogether during pregnancy. Caffeine is classified as a sympathomimetic, this means that it stimulates the ‘’ fight or flight’’ portion of the brain. It keeps you on alert, increases your heart rate and produces changes in blood flow. In addition, caffeine can easily cross the placenta and go straight to the developing embryo producing the same effects it does to the mother. Some papers report that the consumption of huge amounts of caffeine during pregnancy may increase certain risks. Let’s take a closer look at how coffee consuption could affect pregnancy in its different stages as well as coffee alternatives you could try. Conception and consequently pregnancy occurs only in a body that is fertile and prepared to carry a baby to term. In many cases, women are unable to conceive because they’re overweight, underweight or lack certain vitamins, like a vitamin D deficiency. And research from the "Journal of Bone and Mineral Research" found that caffeine in large doses can decrease the body’s absorption of vitamin D, causing a deficiency that could hinder conception, to begin with. The presence of too much caffeine will make your body environment hostile for fertilization to take place. During the first two weeks of pregnancy, usually, before you even know you’re pregnant, the egg divides several times before finding its way to the uterus and implants itself there. This is the most delicate phase of a pregnancy because the embryo could fail to implant causing an early miscarriage. Drinking lots of caffeine during this period increases the risk of this happening. Even though the risk is minimal, it still is possible, so it’s better to be safe than sorry. Also, research suggests that caffeine can cause a miscarriage throughout the entire first trimester. During pregnancy one of the most common complaints is insomnia, women complain about not being able to find a comfortable sleeping position, restlessness, and coffee doesn’t help with this at all. Caffeine is a stimulant so it makes you alert and no matter how tired you are, rest or sleep is not an option for you if you’re hung on caffeine. At this stage of pregnancy, sleeping difficulties is not pretty, you’re already tired and caffeine makes it a whole lot more unbearable, so we recommend you cut down your intake or quit caffeine altogether. Caffeine has the ability to increase the heartbeat which in turn affects blood flow and keeps the brain on alert. All these little changes demand more effort from the body and cause it to dehydrate faster than normal. And this is neither good for the mother nor for the fetus. Dehydration causes headache, fatigue and other minor complications you wouldn’t like. The big news that you’re expecting a baby is always overwhelming at first, it comes with mixed emotions of excitement and fear especially for first-time parents. According to a study on the effects of caffeine on pregnancy, it was discovered that caffeine can extend the length of pregnancy by about 5 hours for every 100mg of caffeine per day. This refers to caffeine from other beverages like soft drinks and the like, caffeine from actual coffee is higher in concentration so it goes up to 8 hours longer for every 100 mg per day. Caffeine in large doses has the reputation of being a potential labor-inducer. This means that it can cause you to have your baby before the appointed time. When the body feels that something is not right, it attempts to expel the fetus earlier- this is what’s known as preterm labor. Too much caffeine increases the risk of preterm labor, by sending warning signals to the body. This is why people usually use caffeine to induce labor. Doctors say if you regularly have more than 200mg of caffeine a day while pregnant, you’ll have a higher risk of having a baby with low birth weight. Babies born with a low birth weight are at increased risk of health problems when they get older. Research by BMC Central published in 2013 showed that babies expected to be of an average birth weight of 3.6kg lost 21-28 grams per 100mg of caffeine consumed daily. Caffeine is not only found in coffee, although coffee has a higher dose, there’s also still lots of caffeine in most of our popular soft drinks, energy drinks, desserts, and snacks. 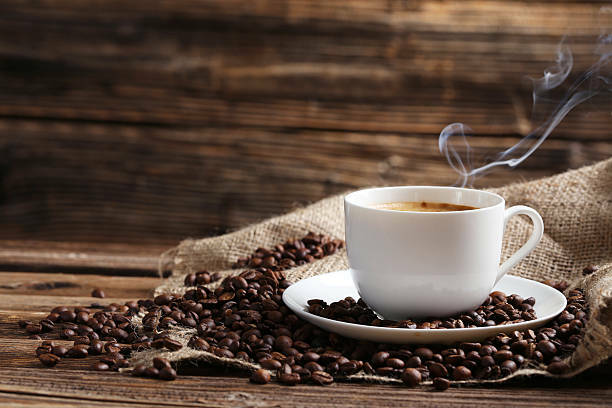 Here’s a short list of some of the everyday beverages we consume that are caffeinated as well as alternatives you can use to cut down on your caffeine intake during pregnancy. Rooibos or red tea is a caffeine-free beverage that has become very popular in recent years. It originates from Africa and it’s based on an ancient recipe that has stood the test of time. Rooibos tea is packed with various antioxidants and is believed to protect against certain heart diseases. Rooibos has a slightly sweet and fruity flavor that tastes heavenly when honey or lemon is added. Lemon water is a great way to start your day, it’s calorie- and caffeine-free and provides a dose of vitamin C. As an antioxidant, vitamin C protects your skin from sun damage, it helps create collagen, a protein that builds your skin, hair, nails, tendons, and ligaments. All you need for this beverage is a glass of water and the juice of half of a lemon. It doesn’t get easier than this. Although a limited amount of 200 mg of caffeine is allowed during pregnancy, it’s sometimes preferable to go by the ‘’better-safe-than-sorry rule and skip it altogether. There are lots of options you can switch to at any time. You could opt for anything from fruit and herbal teas, milk, almond or coconut milk, lemon water or just plain water. You can’t go wrong with all of these, they also offer added benefits that coffee can’t, such as antioxidant properties, probiotics, acetic acid, and vitamins. So are you considering quitting coffee? If yes, which of these alternative beverages are you willing to try?